Bagan is beautiful. At one point in time, it was one of the greatest cities in Southeast Asia and boasted approximately 10,000 temples and pagodas. Although the city was abandoned in the late 13th century, the temples withstood the test of time; today, there are around 2,000 still standing. Many of the larger temples are being restored. Although they’re beautiful once restored, I really liked seeing the small, unrestored temples. It was incredible to see faint images and scripts on the walls of the temples that had lasted so many years. The ceilings in many of the pagodas were broken, but the amount of detail that remains was impressive. Biking on small dirt roads and watching the sunset from the top of pagodas was most definitely worth the long journey to get there! Our second day in the city we rented an electric bike so we could make it a bit further into Old Bagan. We spent the day exploring more temples, enjoying Burmese cuisine and waiting on the side of the road when we needed to repair a flat tire. 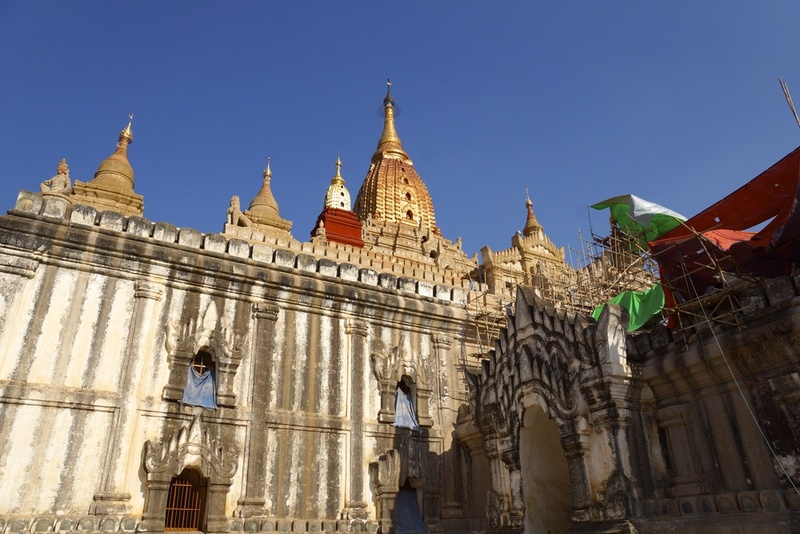 Stay tuned for my recommendations of things to see and do in Bagan, and travel tips for the rest of Myanmar. 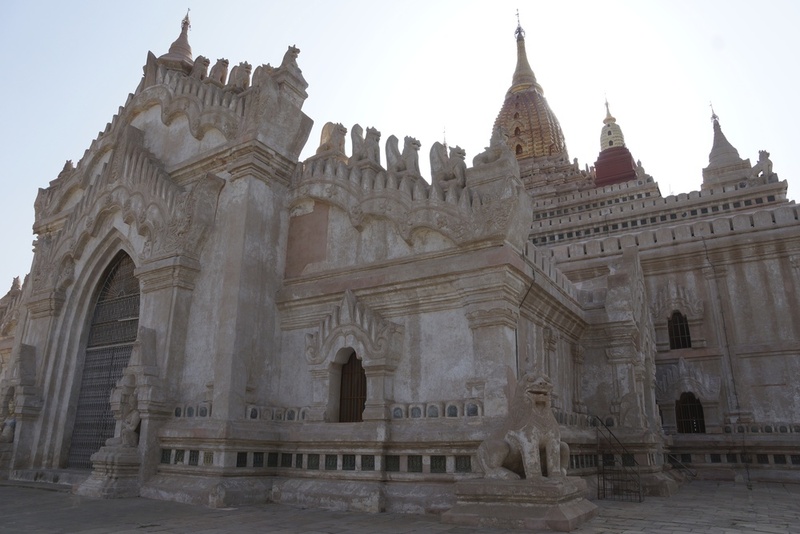 For now, enjoy a few more photos from Bagan!